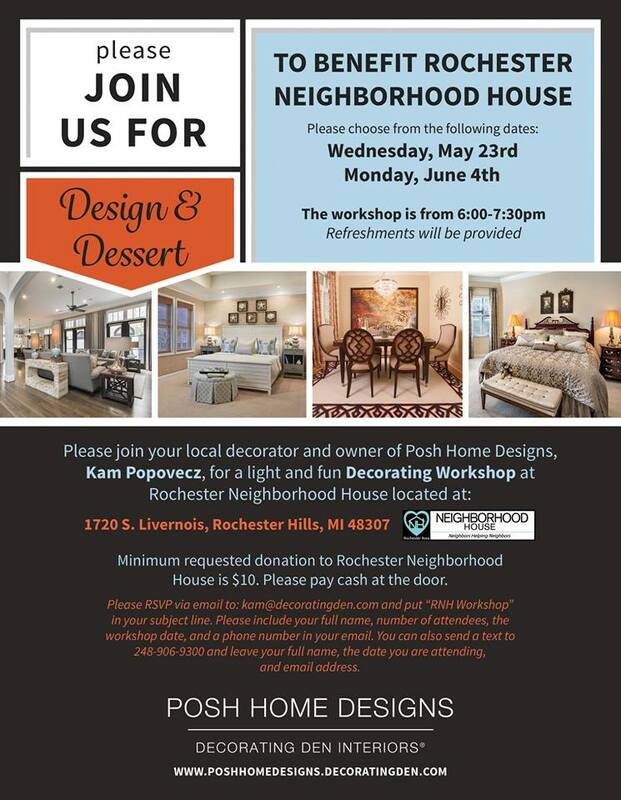 Join us for either date to enjoy a decorating workshop with Kam Popovecz from Posh Home Designs. We are asking for a minimum donation of $10 at the door to benefit Neighborhood House. You can RSVP via email to kam@decoratingden.com or by phone to 248-906-9300. Both workshops will be held at 1720 S. Livernois in Rochester Hills.